Today is not the day I thought it would be for starting my blog, I wanted to enjoy the day of cooking but instead it was a mad rush of trying to put everything together while wrangling my two year old and trying to console a angry two month old. Although this is real life so what better way to tell you how this went. 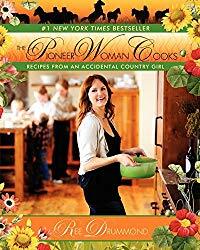 I have been watching the Pioneer Women for a couple years now and I love how she makes realistic food that I would actually make for my family. 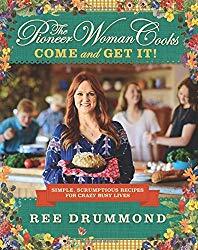 I would highly recommend getting her cookbooks because it has so many recipes in it and helpful tips on how to keep your pantry stocked. 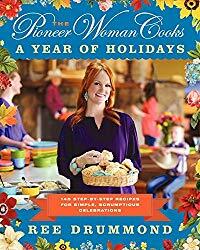 The recipes on the menu tonight are Oven- Barbecued Chicken on page 234, Roasted Asparagus on page 280 and Stovetop Mashed Potatoes on page 310 of the Dinnertime Pioneer Woman cookbook. The chicken was amazing! Adding peach preserves to BBQ sauce is brilliant because it caramelized on the chicken so well. The skin didn’t get quite as crisp as I like it but still delicious! The skin also keeps the moisture in which made the chicken so juicy! The chicken took about an hour and fifteen minutes but most of that was cooking time. This is what I feel like doing everytime but then I remember my husband does the dishes and everything is okay in the world again. No but honestly if you put some baking powder, vinegar and water in the pan and let it soak this makes it ten times easier to clean. The asparagus was so easy to make and one of my favorite vegetables to roast. Took about 10-15 minutes total depending on how cooked you like your asparagus. I don’t know about you but the top part of asparagus is my favorite when its all crispy. So good! Last but not least the mashed potatoes which are the creamiest most delicious potatoes. With butter, cream cheese and heavy cream who could resist. Although I did add garlic salt because I love garlic in my mashed potatoes but that is the only thing I had to change. This probably took me about twenty minutes but I cheated by microwaving the potatoes. Overall what a delicious first day of recipes and completely doable for a Saturday or Sunday when you have a little more time to cook something low and slow. This was also picky kid approved which is an extra win. Next Post I’m Not A Vegetarian, Im A Dessertarian! !